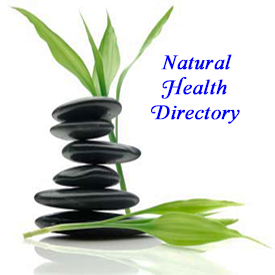 Homeopathy is gaining recognition in the conventional field of medicine and has been subject to many clinical trials. The homeopathic approach is growing in popularity as an alternative treatment for hyperactivity in children. Homeopathy can raise the immunity of your children to help deal with illness throughout their childhood. It can also help prevent illness and give support through difficult periods of their life. With Homeopathy children's health can improve and chronic conditions often clear up completely and never come back. It is safe with no harmful side effects. 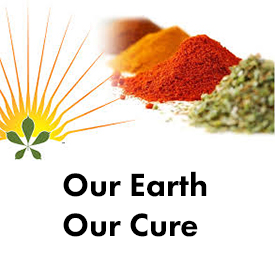 Homeopathy cures by looking at the whole individual and can be effective in unexpected ways. If you have tried everything else and are still not in wonderful good health why not give Homeopathy a chance to help you. Ever since the science of homeopathy was introduced 200 years ago by a German doctor Samuel Hahnemann, it has won praise especially for the treatment of little new-born, neo-nate, infants and children; of course for variety of reasons. Today, there are many paediatricians preferring homeopathic treatment for their children and patients in various paediatric conditions. Essentially, any medicine administered to children must be free from harmful effects. Homeopathic medicines are prepared mainly from herbs, vegetable kingdom, minerals and are given in very minute doses so that they are 100% non-toxic, having no adverse effects whatsoever. Unlike antibiotics and other such medicine, homeopathic pills do not hamper digestion; does not lower resistance power; does not produce allergy and does not harm even if taken for long-term. Homeopathy pills being sweet in taste, is accepted with pleasure by children. They are never bitter, cause no nauseating feeling and kids do not make fuss while taking homeopathic medicines. It is so easy to take that even one day old neonates can be administered treatment without forcefully inducing in them, saving them from lot of weeping, crying and inconvenience. Homeopathic therapy is superior to traditional treatment of administering medicine through injections. No injectables are required while you are on homeopathy. Even a comatose child may be administered homeopathic medicines without injections, that is the beauty of this science. Whether children actually know or sense that homeopathic medicines are good for them for not, they deserve safe medicines. It is time that parents and physicians seek safe, natural and effective alternatives to conventional, potentially harmful drugs. Homeopathic medicine is one such alternative. Homeopathic remedies are able not only to relieve many common acute problems of children, but can help prevent recurrent bouts of illness. 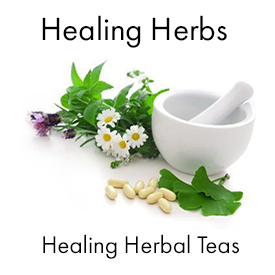 And homeopathic medicines can treat both physical ailments and emotional upsets. A new study, published in the Pediatric Infectious Disease Journal on 2/12/01, is the first placebo-controlled study to suggest that homeopathy is effective in the treatment of acute otitis media in young children. Their randomized, double-blind, placebo-controlled, pilot study of 75 children aged 18 months to six years with middle ear effusion and ear pain and/or fever for no more than 36 hours was conducted in Seattle Washington, by Jennifer Jacobs, M.D. This is a book that provides an in-depth and exciting account of the history, philosophy, and experience of homeopathic medicine. 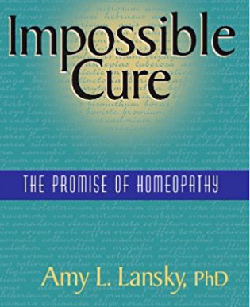 At the core of Impossible Cure is the amazing story of how the author's son was cured of autism with homeopathy. 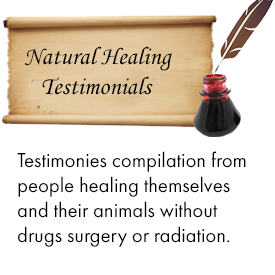 It also includes dozens of other testimonials of homeopathic cure, for a variety of physical, mental, and emotional conditions. Dr. Harold E. Buttram, M.D- "Childhood autism is the result of encephalitis affecting primarily the limbic system of the brain, located below the cerebral cortex. 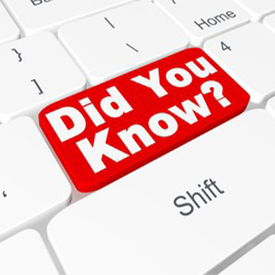 A relatively few number of cases are due to genetic causes, but officially the great majority are of unknown causes. Bernard Rimland, PhD, founding director of the Autism Research Institute, estimates that there are now a minimum of 250,000 autistic children in America, a 10 to 15-fold increase in the past 50 or so years. Dr. Rimland, internationally recognized as a leading expert in the field of autism, has publicly stated that he believes current childhood vaccine programs are one of the major causes for the current epidemic of autism." A groundbreaking new book from the authors of the best-selling Ritalin Free Kids documenting a safe, effective, and natural treatment for children with Asperger syndrome and autism. Homeopathic medicine offers renewed hope for parents of children on the autism spectrum without the use of conventional drugs. Includes seventeen actual cases drawn from the authors' extensive clinical experience treating a wide range of children with developmental, behavioral and learning challenges. Also included is information on the characteristics of children with Asperger syndrome and autism, other natural approaches, advice and resources for parents, as well as answers to frequently asked questions about autism and homeopathic medicine. A must-read for any parent of a child on the autism spectrum. 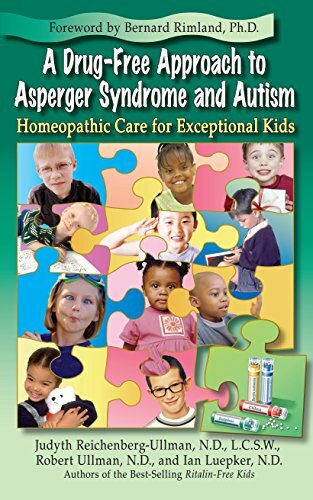 The authors provide detailed information about their experiences in using homeopathic medicines in the treatment of children with autism and Asperger's syndrome. They describe the various medicines in detail and the unique syndrome that each remedy is known to treat. This book is of value to both clinicians as well as to parents! Drs. Robert Ullman, ND, DHANP and Judyth Reichenberg-Ullman, ND, LCSW, DHANP have offices in Edmonds and Langley, WA (on Whidbey Island). How many of us have sat at our child's bedside feeling helpless as the child suffers with repeated colds, fevers, respiratory complaints, painful earaches, etc. Not knowing if anything is seriously wrong and wanting to seek some sort of relief for our child, we may take her to see a medical doctor. Chances are likely that she will be given an antibiotic, cough suppressant, a decongestant or maybe you will be told everything is fine and advised to just give her a dose of acetaminophen to ‘keep the fever down. You do as advised, your child recovers only to relapse again shortly after. Now what? Another round of antibiotics and more drugs? 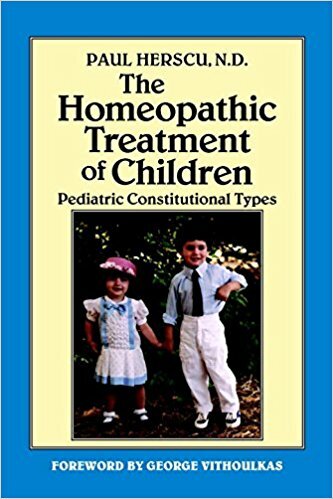 Miranda Castro - "Homeopathic treatment will help at all stages of a childhood illness: with an itchy rash or painful, swollen glands; with an accompanying cough or sore, sticky eyes; and children usually recover quicker and easier and without complications. Antibiotic treatment is ineffective for viral infections (except scarlet fever) and will only add to your child's stress load. Avoid them during this time and use homeopathic remedies to help stimulate your childs inner healer." Frederick Cole has been a practicing homoeopath for 15 years and is president of the United Kingdom Medical Association. My younger daughter then aged two had a severe case of measles and was treated with homoeopathy to ease the symptoms. She had not been vaccinated but she caught the infection from her equally as ill older sister who had! When she was six the same daughter woke one morning with swelling on one side of her jaw. A visit to the GP confirmed our diagnosis of mumps. No treatment available was the GP's statement, just keep her warm in bed and she would be over it fully in about ten days. As there were no distinct indications my daughter was given a tablet of Merc. cor. 6 to hourly. By bedtime the swelling had gone totally. The next morning she woke with the swelling on the other side, but with distinct symptoms pointing to Belladonna, hot, flushed face, pain on slightest movement. With the remedy given at two hour intervals the swelling had reduced by fifty per cent by the next morning. By the third evening it had gone completely and on the evening of the sixth day my daughter was dancing, whooping and yelling at her elder sister's birthday party as if nothing had occurred. 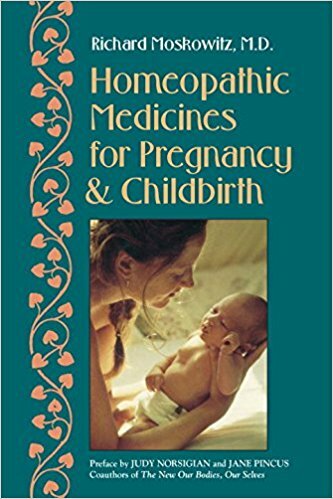 "This book is a compelling description and impressively practical guide to the use of homeopathic medicines in treating underlying health problems of children. Herscu's clear and vivid depictions of these constitutional types will help anyone understand children more deeply and help to cure them more completely" - Kenneth P. Stoller, M.D., Fellow of the American Academy of Pediatrics. 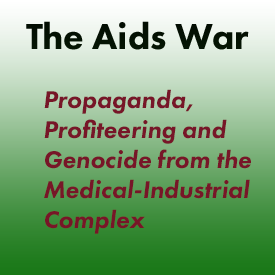 Linda Johnston, MD - "At the turn of the last century, mothers treating their children's problems easily and inexpensively caused the news of Homeopathy to spread like a brush fire. Many people successfully treated typhoid, cholera, measles, mumps, tuberculosis, smallpox and other diseases with their Homeopathic remedies and without doctors." "Most parents feel compelled to take some disease-preventing action for their children. 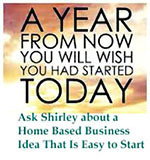 While there is no 100% guarantee anywhere, there are viable alternatives. Historically, homeopathy has proven many times to be more effective than allopathic medicine in the treatment and prevention of disease, with risk of harmful side effects. In a U.S. cholera outbreak in 1849, allopathic medicine saw a 48-60% death rate, while homeopathic hospitals had a documented death rate of only 3%. Roughly similar statistics still hold true for cholera today. Recent epidemiological studies show homeopathic remedies as equaling or surpassing standard vaccinations in preventing disease. There are reports in which populations that were treated homeopathically after exposure had a 100% success rate-none of the treated caught the disease. There are homeopathic kits available for disease prevention. Homeopathic remedies can also be taken only during times of increased risk (outbreaks, traveling, etc. ), and have proven highly effective in such instances. And since these remedies have no toxic components, they have virtually no side effects. 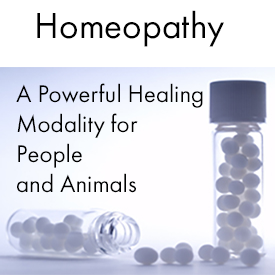 In addition, homeopathy has been effective in reversing some of the disability caused by vaccine reactions, not to mention many other chronic conditions with which allopathic medicine has had little success." In this article it is intended to show evidence of the relationship between vaccination and behavioural problems in children, from mild to severe (ADHD and autism), through 30 case histories. 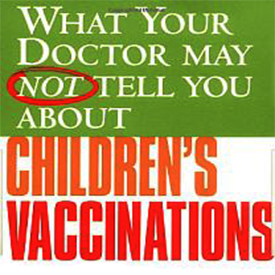 The evidence is provided through the use of potentised vaccines. The hypothesis is that if the complaints disappear or strongly ameliorate with the treatment of the potentised substance which is supposed to be the cause of the complaints, the proof is delivered that the particular substance caused the damage. The fact that mild, moderate and severe cases of behavioural problems, often with concomitant physical problems, are seen and cured by this method strengthens the evidence of a causal relationship between vaccinations and behavioural problems. "We set this up as a pilot study, not really expecting to see any positive effect from homeopathy," says researcher Jennifer Jacobs, MD, MPH, clinical assistant professor of epidemiology at the University of Washington School of Public Health and Community Medicine in Seattle. "We were surprised that homeopathy decreased symptoms [of middle ear infections] in the first 24 hours of treatment." The implications are important. Not only did the researchers determine that individualized homeopathic treatments can give early relief to the ear pain, fever, and fussiness associated with ear infections, they also say such treatment could potentially help reduce antibiotic use in children, something which has been associated with increasing rates of antibiotic resistance. 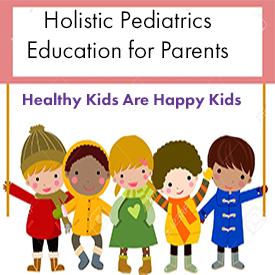 "For the child, homeopathy can help with clingy behavior, difficulties with sleep, behavioral problems, learning disabilities, fears, shyness, excessive anger, skin conditions, reactions to vaccines and many other frequently encountered problems. It is unsurpassed in the treatment of childhood acute diseases, yielding rapid results in a gentle manner, by stimulating the child's immune system rather than suppressing it. During the teen years homeopathy can help with the hormonal changes of puberty and the acne that often appears at this time, but primarily it can assist with the emotional upheavals, which frequently occur as little girls make the transition to womanhood." Homeopathic medicine developed much of its popularity in the United States and Europe because of its success in treating people with cholera, scarlet fever, yellow fever and other infectious diseases that were ravaging populations. Homeopathy also provides many valuable medicines in treating people who suffer from accidents and injuries. When these medicines are used in conjunction with conventional first aid procedures, the risk of long-term damage from an injury can be significantly decreased and the healing process can be noticeably enhanced. Homeopathy can be of great assistance when dealing with minor injuries at home or out in the world. Often an injury is not serious enough to warrant a trip to the doctor's office. 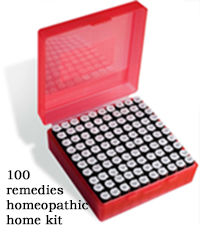 It is a good idea to put together or purchase a homeopathic kit. 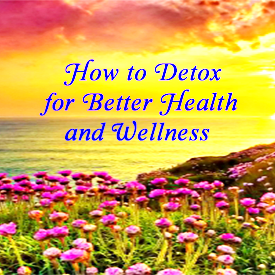 There are a few essential remedies that you will come back to over and over again. A homeopath explains how Homeopathy can help in childbirth. "Homeopathy can be wonderfully effective during labor, often reducing the need for drugs and surgical intervention. Every woman's experience of labor is different and this is why Homeopathy is particularly suited, since remedies are prescribed on the whole state, i.e. 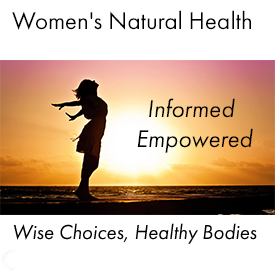 the emotional and physical symptoms of each woman. Homeopathy can help in many labor situations, often where there is no medical alternative. For example, the remedy 'Caulophyllum' can strengthen weak contractions, speeding up an exhausting and lengthy birth. 'Pulsatilla' is a remedy which can sometimes help turn a breech baby into the correct position. 'Arnica' can be taken before and after labour to promote healing and minimise bruising, and often speeds up recovery after a caesarian. It can also be given to the newborn baby to help cope with the shock of being born, and again to promote healing. The remedy 'Calendula' can be taken when there is a very sore birth canal and the possibility of tearing. It can alleviate the soreness very quickly, and in doing so reduces the likelihood of tearing. A few drops of 'Calendula' tincture can also be added to the bath after birth to help heal soreness and wounds quickly. Many other situations - such as retained placenta, fear, severe pain and exhaustion - also respond very well to Homoeopathy, often preventing the need for drugs which may have lasting side effects. Remedies during labour work rapidly and the effects are felt almost instantaneously. Louise, for example, became terrified at the beginning of labour - a common reaction - and was very fearful of losing control, feeling that she was going to die. The remedy 'Aconite 200c' was given and within minutes her fear dissipated and she gained the courage to go on. The remedies also worked very quickly on Joanne, who had very severe labour pains to the point that she was weeping with them. She wanted someone to take the pain away, and was holding onto her husband for reassurance. The remedy 'Pulsatilla 200c' was given and almost instantly the pain subsided together with the weeping, enabling her to carry on with renewed vigour. Like the title of the book says this is a self-care guide. It is the best book I've seen so far on treating common, acute ailments using homeopathic remedies - and I've read quite a few. In the front of the book is a wonderful explanation of how homeopathic remedies work. Next, they've organized the book by various common ailments - everything from the common cold to poison ivy. 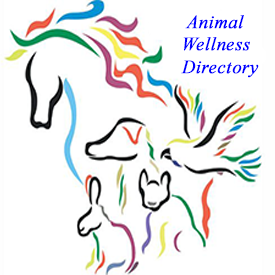 Each ailment section contains easy to use, step by step instructions for evaluating symptoms and choosing a remedy. Including a handy chart listing several possible remedies and the various indications for it. You use these charts to examine both your physical and emotional state and what makes you feel better or worse. Based upon this information, you choose the remedy that best fits your symptoms. 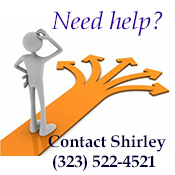 These charts are effective for personal treatment or treatment of family and friends. I like to let my family look at the chart and pick the remedy they think they need. Homeopathic treatment can help at all stages of a childhood illness: with an itchy rash or painful, swollen glands; with an accompanying cough or sore, sticky eyes; and children usually recover more quickly and easily-and without complications. Antibiotic treatment is ineffective for viral infections (except scarlet fever which is bacterial) and will only add to your child's stress load. Avoid them during this time and use homeopathic remedies to help stimulate your child's inner healer. Homeopaths are concerned about the effects of repeated courses of antibiotics, especially on a child's developing immune system. Because many cases of infection will subside within 24 hours, especially earache (whatever treatment is given) some doctors are now adopting a wait-and-see policy for children with minor, acute infections and are willing to support parents who choose TLC and alternative medicine over antibiotics. Many parents are choosing to save antibiotics for when they are really needed because of their concern over side effects: diarrhea, thrush, loss of appetite and behavioral changes are all common. 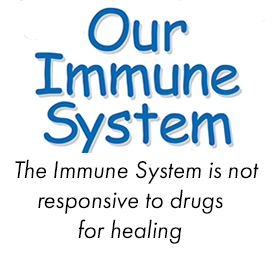 We need to approach these illnesses in our children in a way that encourages their own natural immunity. "Clinicians using homeopathy for ADHD have reported good results, but objective evidence has been lacking. Now, a double blind, placebo-controlled study of 43 children with ADHD shows that homeopathy can be effective in treating the disorder. In the study, children afflicted with ADHD were given either a homeopathic treatment or a placebo for ten days, then parents or caregivers rated the children on the amount of ADHD behavior they displayed. Those receiving homeopathic medicines showed significantly less ADHD behavior than those given placebos. 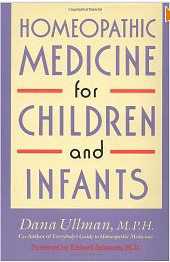 When evaluated in a follow-up interview two months after the study's end, 57% of the children showing improvement with homeopathy had continued to improve, even though they had discontinued the homeopathic medicines; twenty-four percent relapsed by the time of the follow-up; and the remaining 19% continued to experience positive results, but only while taking the homeopathic medicines." by Judyth Reichenberg-Ullman, N.D., M.S.W. Hyperactive children are unique, fascinating, and often brilliant children, but they frequently end up in exceptional student education programming for learning or behavioral problems. Untreated, some children will outgrow the condition; others will become hyperactive adults. An increasing number of families are dissatisfied with stimulant medications, like Ritalin and Dexedrine, and more parents are seeking deeper answers for their children's behavior through natural alternatives. The homeopathic approach to attention deficit disorders (ADD/ADHD) is very different from that of conventional medicine. There are over 2000 homeopathic medicines, rather than the small number of conventional medications used to treat ADD/ADHD. Homeopathy can offer an effective solution for many children. 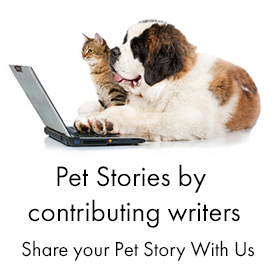 As an example, let's look at the case of "Teddy," a nine-year-old. Each of these individuals included in this book is unique, and it is that uniqueness that leads to the homeopathic prescription in such a different way than with conventional medicine. Our clinical experience, presented in the case studies in this book, as well as the published experience of other homeopaths, suggests strongly that homeopathy is a useful treatment for ADD. Homeopaths always take the whole person into account. If the chief complaint of the person is his inability to sit still, difficulty concentrating, or other symptoms of ADD, these behaviors would certainly be taken into account, but in combination with all the person's other symptoms. The homeopath would note anything unusual about that person. That might include a history of scarlet fever during childhood, a strong fear of birds, recurrent dreams of falling out of bed at night and no one coming to the rescue, or a craving for persimmons. The homeopath sincerely seeks to understand the uniqueness of the patient. 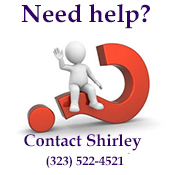 "We have treated over 1500 kids with ADHD Learning Disabilities and behavior problems. Homeopathy works! Read the real cases in our book for an eye opening understanding of the way homeopathy can change your child's life. 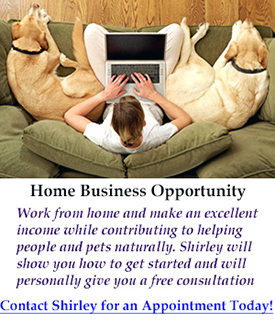 Then find a classical homeopath and get started! 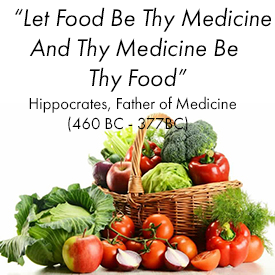 You owe it to yourself and your child to at least explore this revolutionary alternative treatment. More than 25 million adults in North America alone suffer from depression, and over 22 million prescriptions for Prozac were written last year. This book is an eye-opening resource for the millions of people who are looking for safe, effective, natural treatments for depression and other mental health problems. 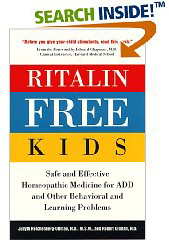 In Prozac-Free, bestselling authors of Ritalin-Free Kids, Judyth Reichenberg-Ullman, N.D., M.S.W., and Robert Ullman, N.D., offer a homeopathic treatment for depression, anxiety, and other mental and emotional problems. Using over 40 successful cases from their clinical practice, they demonstrate the long-term effectiveness of homeopathic medicine. Although anger is a normal emotion, in certain children it can spiral out of control and become something much less manageable such as rage. 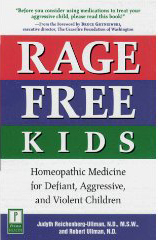 Based on their years of clinical experience, homeopathic doctors Judyth Reichenberg-Ullman and Robert Ullman have developed a natural answer to extreme anger. Now, in this eye-opening resource for parents, they share their homeopathic approach to freeing defiant children from aggressive behavior. Inside, concerned parents will learn not only how to cope with the challenges of raising such a child, but, more important, how to understand the source of the anger and effectively treat it. A combination homeopathic remedies have been formulated by Dana Ullman, M.P.H., an internationally-known educator and author on homeopathic medicine, for natural relief of nervousness, restlessness and irritability in children. However, it is always best to seek a consultation with a professional experienced homeopathic practitioner for children with ADD. This would be a great gift for new parents - it is a wonderful resource for parents who want the most information possible when making health care decisions for their children. It includes everything from more conventional treatments for illnesses to less conventional methods such as dietary changes and homeopathy. 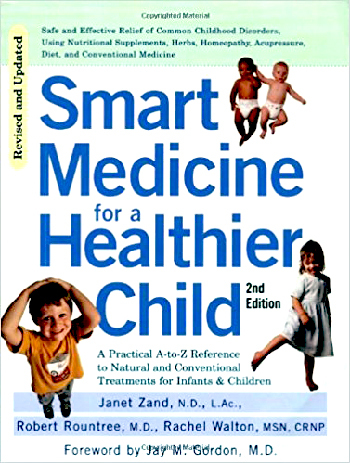 This book is also a great reference for parents who are unfamiliar with less conventional treatments - it gives helpful descriptions of what homeopathy and other natural methods actually are, the principles for treatment they use, and why these methods work. It is written in an easy-to-use format and really opened my eyes to alternative methods of helping my child stay healthy. Dr. Tinus Smits MD "Paediatrician Yvonne Pernet has recommended Thuja 30C to the parents of all the children she has vaccinated for several years. When she stepped over to the preventive use of potentised vaccines the difference in the results was indisputable. There were patently fewer side-effects to vaccination with this novel method. In fact, the energetic level becomes safeguarded so it can no longer be disturbed by the vaccine. It is as if the organism is warned of the approaching artificial illnesses and can therefore better maintain its balance. It must be remembered that chronic complaints can only occur because the deeper levels of our energy have been disturbed." Colic in Babies, Every Parents Nightmare. The constant crying of a colicky baby is heart-rending. It comes at a particularly bad time, when expectations for enjoying a newborn are cruelly dashed. It can make a new parent feel distressed and ineffective if nothing seems to help. It is also exhausting for those parents who find themselves walking the boards day and night in an attempt to soothe their little ones. Homeopathic treatment can be a real life saver for these parents at a time when they are concerned to find some relief for their baby's pain.